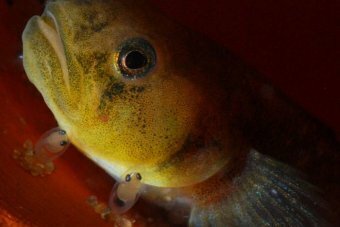 A small native fish with a low community profile is finally getting a name for itself in the Murray Darling Basin. 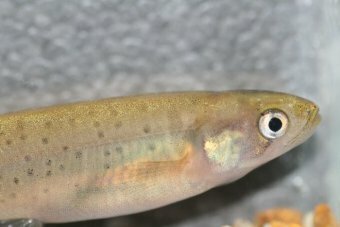 The Murray Hardyhead is a shiny, small-bodied fish with large silvery eyes. 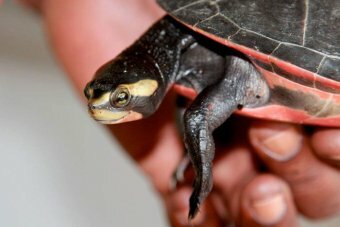 "They only grow to about 10cm in size, and they were found locally and up and down the Murrumbidgee historically," says Michelle Kavanagh, the Murray Darling Freshwater Research Centre's communication advisor. "But they've become much more rare, to the point where they've been threatened with extinction." The fish prefer to live around the edges of lakes, in wetlands and backwaters; but recently the Murray Hardyhead has had a tough time staying alive. 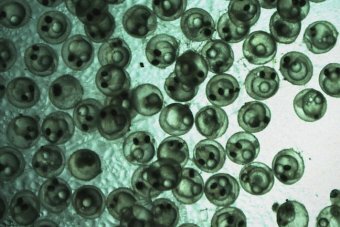 As wetlands dried up with the millennium drought and salinity in remaining waters increased, whole populations of the fish have become extinct in much of Victoria and NSW. 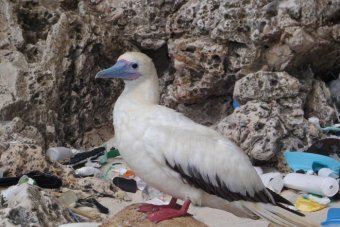 "We got to the stage where they were only found in six or seven isolated wetlands - that was it," says Ms Kavanagh. 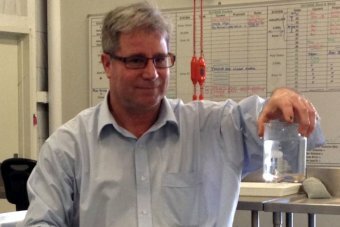 "There was a couple of handfuls of populations left in the basin." As many of the remaining populations were in waterways around Mildura, including Cardross Lakes, Koorlong Lake and Lake Hawthorn, the MDFRC went about drawing those communities into a project to help conserve the fish. The best way to do this, says Ms Kavanagh, was through the local primary schools. "They're small schools in a rural environment, and these are small wetlands, or small fish in an isolated environment," she says. "So we were able to make that connection, and start talking about the habitat the fish requires and what decisions and actions communities can make so that the fish has a chance." Ms Kavanagh says that unlike the Murray Cod, the community profile of the Murray Hardyhead is pretty low. "They're not iconic, they're not big and easy to identify; they're not targeted by anglers." 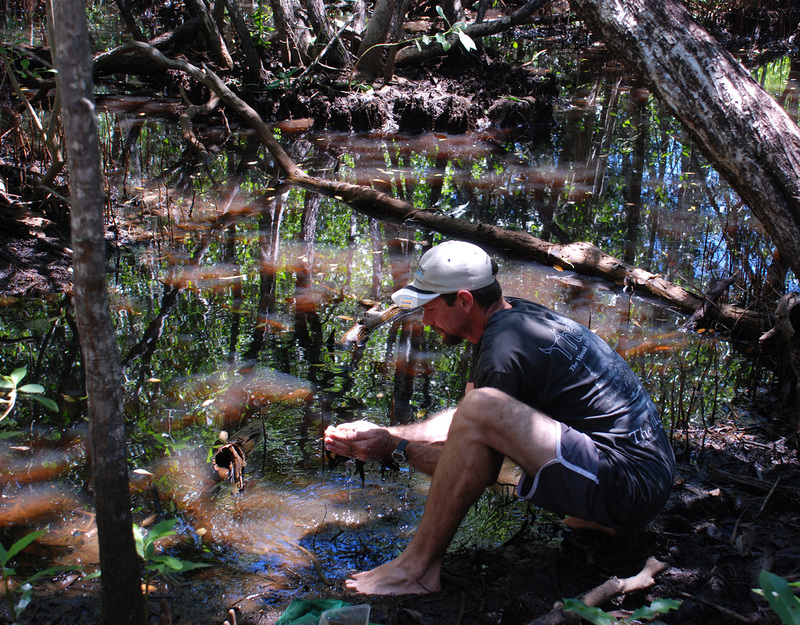 "[But] when you're involved in ecology their relevance in the food web becomes really obvious - they are fish food for bigger fish, and they also have close relationships with water plants and water bugs." So she decided the best way to get the community interested was through the creation of a children's book:Hi! My name is Murray: Murray Hardyhead. "We write these reports, we put the information on our website, and it's not particularly engaging for the general community," says Ms Kavanagh. "Targeting primary schools we felt that through the students we'd be reaching families as well." The book was created over a term alongside school activities to help students understand conservation, native fish and threatened species in the Basin. Students were asked to reflect on what they were learning by putting together artwork that ultimately inspired the book's design and text. 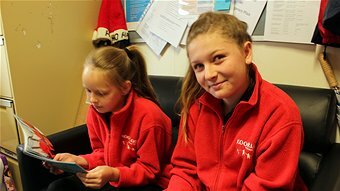 The principal at Koorlong Primary School, Stuart Pain, says the students embraced the project. "We thought we'd make it a whole-school activity and went down and did some fish sampling and checked the quality of the water," he says. "[Between] 80-90 per cent of the kids did not know they had Koorlong Lake out the back of the school - or they had fish in them." "It was a real life example," says Mr Pain. He says next week the school will revisit the Koorlong Lake to check on their efforts to repopulate the area with Murray Hardyhead fishlings. "So hopefully, they've survived," says Mr Pain. Twelve-year-old Ebony Douglass says even though the Murray Hardyhead is a little fish, it deserves to be conserved. "It was a big project for just a small little fish," she says. 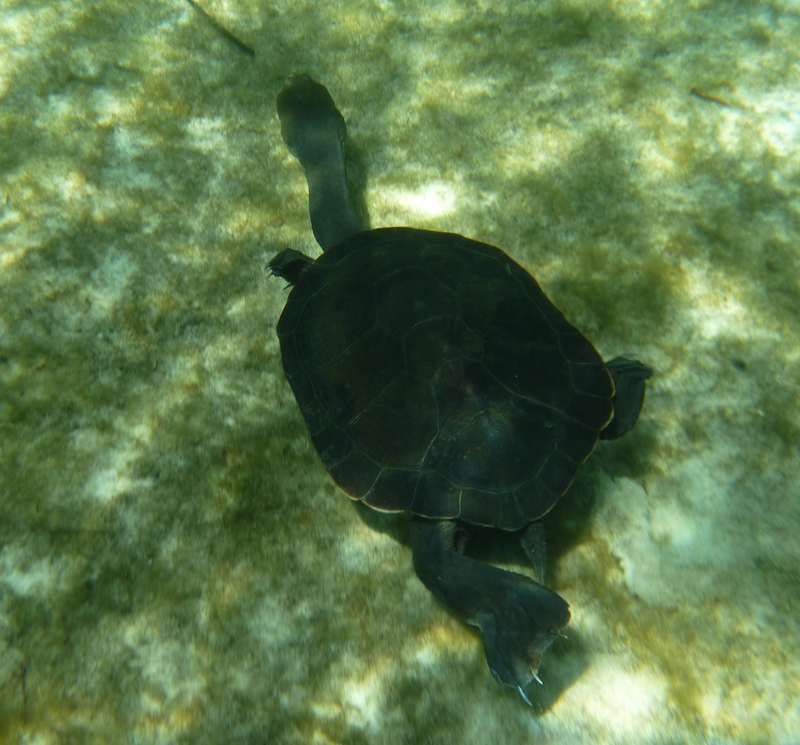 "[But] anything that's endangered is important to help keep alive." The book has now been distributed to other schools where the Murray Hardyhead lives and across selected primary schools and libraries around Australia.